PATTERN EXPERT has many years of experience in developing software solutions for spectra analysis and classification by means of Pattern Recognition. Our airspect (Adaptive Information Extraction and Research System for Spectroscopy) products are capable of performing analysis of one-dimensional spectra (airspect) as well as spatially resolved two-dimensional spectra (airspect SRS). 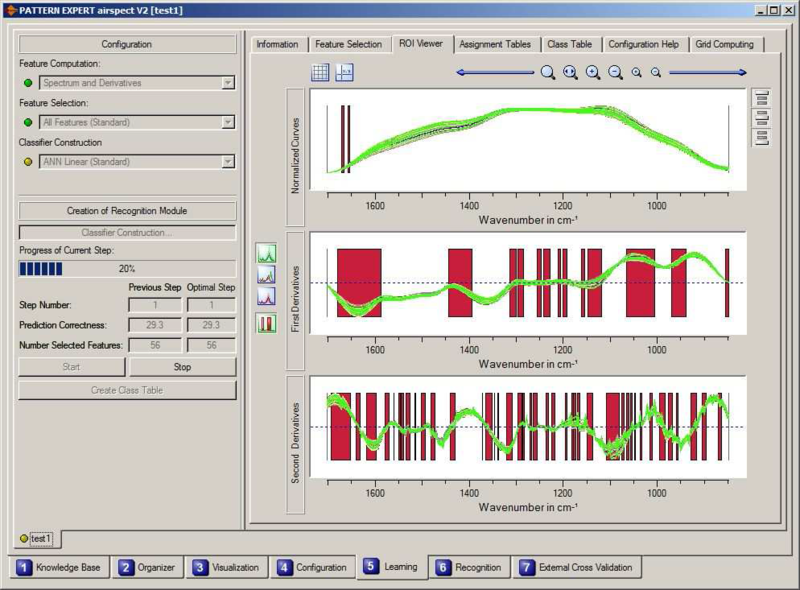 Our spectroscopy software PATTERN EXPERT airspect allows you to analyze spectra automatically and with a high degree of accuracy. It opens new opportunities for applications in IR spectroscopy (MIR and NIR), Raman spectroscopy, mass spectrometry, and ion mobility spectrometry. Building up collections of spectra is a very common method in the material and life sciences as well as in many other areas. PATTERN EXPERT airspect and PATTERN EXPERT airspect SRS support the efficient extraction of knowledge contained in these collections to make it accessible to a large number of users. PATTERN EXPERT products support you in all the phases of developing complex spectroscopic diagnostic solutions. Complex analyses of IR spectra, mass spectra, spatially resolved spectroscopy and other types of spectra can be done considerably easier and quicker. PATTERN EXPERT airspect opens new opportunities for those applications of spectroscopy, in which analyzing the results was ruled out up to now by the complex structure of the spectra. 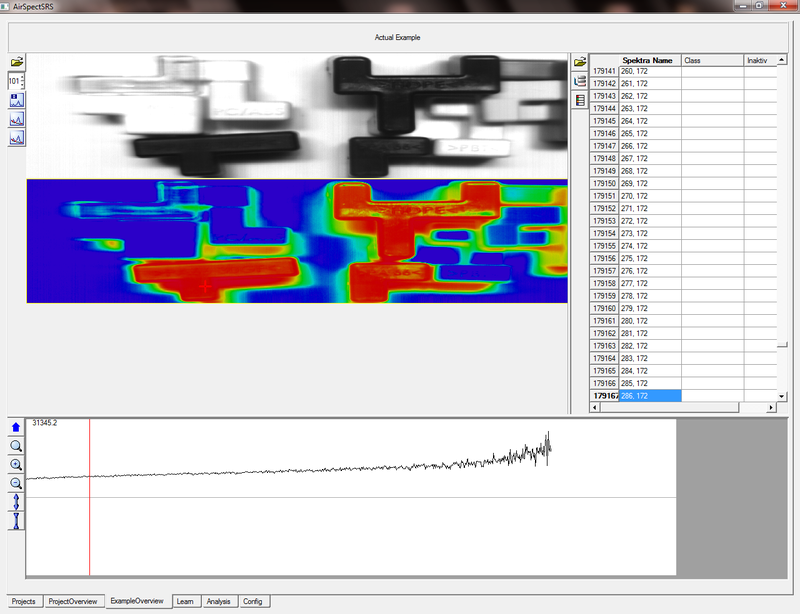 Each one of PATTERN EXPERT's software solutions is an indispensable tool for practical applications for example in the life, food, or materials sciences and Bio Technology, where the samples to be analyzed are complex mixtures or substances interfered by some background, and consequently the spectra show highly complex peak patterns. Operating the software is very easy. After about two hours of dealing with the program, the user has become acquainted enough with it to be able to produce his own analysis results. 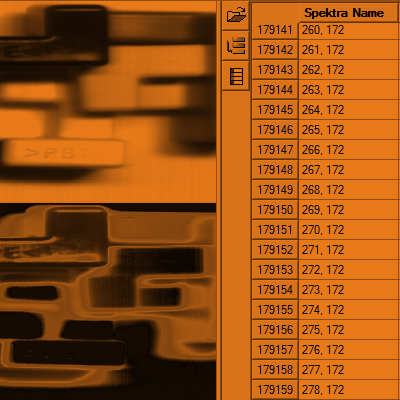 Importing the spectra for knowledge extraction and analysis is very easy and trouble-free. Avoid false conclusions by means of reliable test procedures: External Cross Validation ensures that users obtain solid and reliable analysis results. Therefore airspect products can also be used to validate results obtained from other sources. PATTERN EXPERT offers a variety of additional analysis tools, for example for finding those spectral locations which are relevant for solving the given problem (marker regions), or for discovering and analyzing outliers. Moreover, the user may select from various visualization tools. The software solutions produce very precise hitlists, simplifying and accelerating searches in spectra knowledge bases significantly.